In a previous post, I wrote about my Real Food Pregnancy, which changed dramatically from my first pregnancy in 2006. One of the things that changed most was my desire to be a nutrient-seeker–actively looking to include foods in my daily eating habits that would provide dense sources of vitamins and minerals, and balanced, high-quality quantities of protein, carbohydrates, and fat. This goes beyond just eating what tastes good, or what is readily available and convenient. I found the Paleo Parents’ lactation cookie, which was a flavorful, not-too-sweet treat that I could make ahead of time and freeze for those moments when I had to get something in my stomach NOW. If you’ve ever been pregnant or breastfeeding (or been around someone who is), you know what I mean! As great as those lactation cookies are, they still have chocolate and maple syrup, two sources of sugar that my already-fatigued body could do without. 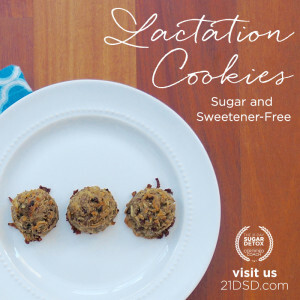 And as a 21-Day Sugar Detox Coach, I wanted to give all those pregnant and breastfeeding ladies a lactation cookie option that they could enjoy while doing a 21DSD. So here it is! I hope you enjoy these cookies (which you can enjoy even if you aren’t pregnant, breastfeeding, or doing a 21DSD!) and share them with all the new moms in your life. My kids love these (well, two of them do), and some lovely ladies tested the recipe for me (thank you–you know who you are!) and they loved them as well. It seems like forever ago that I was pregnant and then breastfeeding my three little ones, but my youngest is only two and I nursed him until just before his second birthday. My real food journey has evolved over time, and it was with my third child that I really searched for nutrient-dense foods that would help my body grow this tiny baby and help me recover from the hard work of birthing him. The thing is, I was tired, depleted, and very, very hungry…all the time! I needed snacks, and though I didn’t want to rely on sugary treats all the time, they gave me the quick burst of energy that I craved. 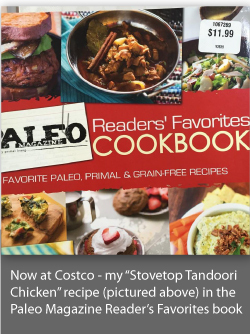 The Paleo Parents’ lactation cookie saved me on multiple occasions by providing a real food alternative to grain-based, sugary cookies that might boost milk production, but would also leave me feeling run down and even more depleted. 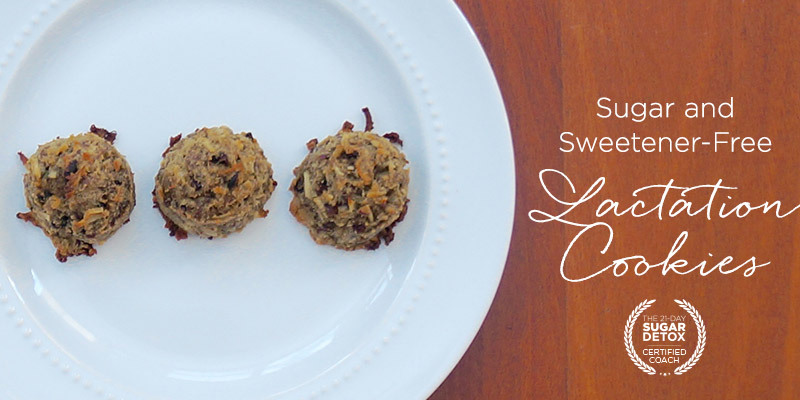 And they tasted amazing (and served as the inspiration for this recipe)! But while they were a great alternative to more conventional cookies and foods marketed to pregnant and breastfeeding women, they still had sugar and were therefore out for anyone wanting to cut all sugars and sweeteners out of their daily eating habits. As a 21DSD coach, I knew that there were likely women out there who wanted to do a 21DSD while pregnant or breastfeeding, but didn’t have a lot of quick and easy cookie-like options for those moments when they were super hungry and trying to rock, console, feed, bathe, or play with one or more children. So I developed this recipe to meet that need!